Wheaton College has won a competitive $1 million grant from the Howard Hughes Medical Institute (HHMI) to develop new approaches to science education that will enhance student engagement and improve learning outcomes. 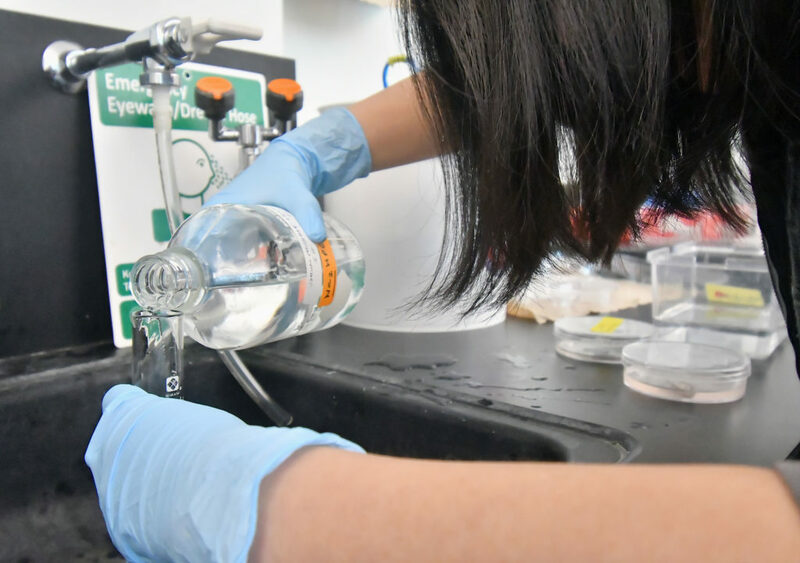 The grant, which will provide support for planning and implementing new initiatives over a five-year period, will enable the college to launch the Wheaton Inclusive STEM Excellence (WISE) initiative. The goal of the effort is to improve student outcomes through innovative campus-wide programs, including professional development for faculty and the introduction of new opportunities for student engagement and leadership in science, technology, engineering and mathematics (STEM). HHMI works to further basic biomedical research and education. The grant award to Wheaton is part of a new program launched by the institute to promote inclusive excellence in science education for all students, most particularly for underrepresented minority and first-generation college students. More than 900 colleges and universities applied to participate in the program; the institute awarded grants to 57 institutions—24 in 2017 and 33 in 2018. “Our goal is to improve the overall impact of science education at Wheaton for all students as well as increase the college’s capacity for inclusive excellence campus-wide,” said Associate Provost Meg Kirkpatrick, who will serve as program director for the WISE initiative. “An innovative shared-leadership model will create new opportunities to address institutional barriers to student success while building on existing strengths in support of diversity and inclusion,” she said. Professors Jani Benoit, Rachelle DeCoste and John Collins and Dean of the Marshall Center for Intercultural Learning Raquel Ramos will comprise the leadership team for the initiative. The WISE program builds on Wheaton’s efforts to promote inclusive excellence. Outside the classroom, Wheaton has worked to promote inclusion through the Building Community Together initiative, which just completed its third year. And this spring the college hosted its second annual Summit for Women in STEM, bringing professors, scientists, students and business and industry leaders together for a daylong session promoting gender equality in the field. And launching an ongoing assessment plan to better understand students’ experiences in science education and measure progress. The initial focus of the work funded by the grant will involve intensive study of the opportunities for encouraging broader participation in science education by all students, no matter their major, and developing implementation plans for new offerings. The planning work is expected to kick off in July 2018. Among the new initiatives proposed through the grant are programs designed to promote student leadership in science and foster the development of professional skills to facilitate post-graduation success. The offerings include the development of a new course on leadership, peer mentoring and an on-campus internship program in which students will develop, implement and measure initiatives designed to enhance engagement in the sciences. As a participant in the grant program, Wheaton faculty and staff will consult with HHMI and its partner, the Association of American Colleges and Universities (AAC&U), to evaluate progress and refine its efforts. In addition, the institute plans to bring Wheaton and the other participating institutions together into small groups to exchange ideas and learn from the experiences of each campus. Other Massachusetts institutions participating in the HHMI program include Brandeis University, Framingham State, Tufts University, the University of Massachusetts Amherst and Wellesley College.